1. Good compatibility: it can be applicable to 50W laser tube manufactured by various factories. 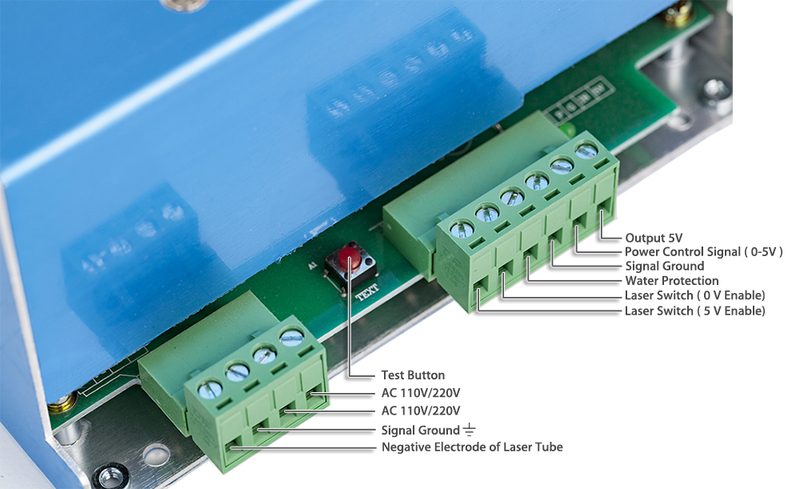 1.Laser Tube connection: (Refer to Power supply and laser Device's connection Diagram) High voltage terminal of HY-T60 power supply should be connected to the positive pole of CO2 laser device. Current circuit of the power supply shall be connected to negative pole (laser output terminal) of laser device, through an ampere meter or directly. 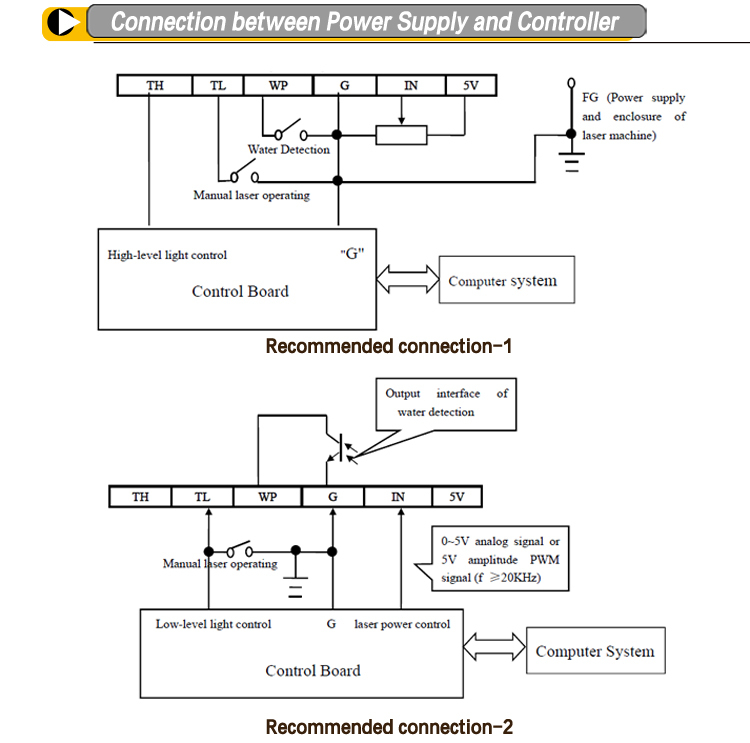 2.Connection of control signal( Refer to Power supply and control board's connection Diagram) The control signal shall be reliably connected to control terminal of the power supply HY-T60,after connecting the DAC output signal and TTL signal of external computer with the power supply, the laser device shall work as expected. If the laser lamp can not work properly, should check the control signal whether correct or not(include check the voltage specification and logic),if use PWM control as power control,make sure f≥20KHz,Amplitude (peak value) ≤5V,Check and protection switch WP connection is correct at same time. 3.Voltage of power input: HY-T60's power input of the power supply shall be 220VAC/50Hz. If 110VAC required please specify when placing order. 4. Others: A group of protection switches are also reserved for detection of water switch, fan switch,open-enclosure protection and so on.